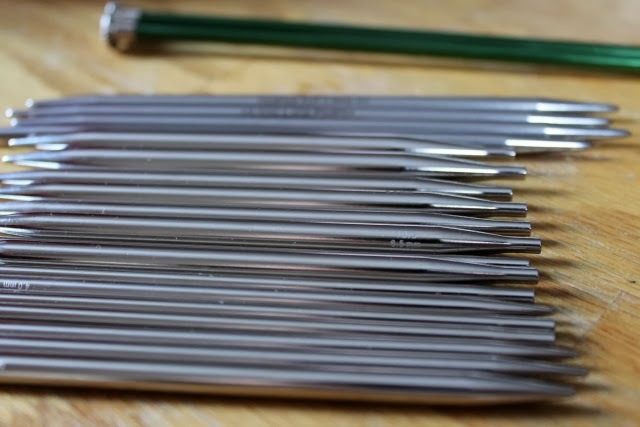 four square walls: how do you store knitting needles? I'm a relatively new knitter, but just as it was with sewing, the obsession hits hard and supplies accumulate extremely fast. I'm having flashbacks to when my fabric and sewing supplies all fit on half of a shelf in my living room. I had one Simplicity dress pattern and thought, "Hey, this is pretty fun..." and eight months later I had two (now three) machines and a mountain of fabric and was at the point of demanding my own sewing room. Luckily, knitting takes up much less space, but there are a lot of small barely-distinguishable items -- often in pairs or quadruples -- that can be tricky to keep track of. 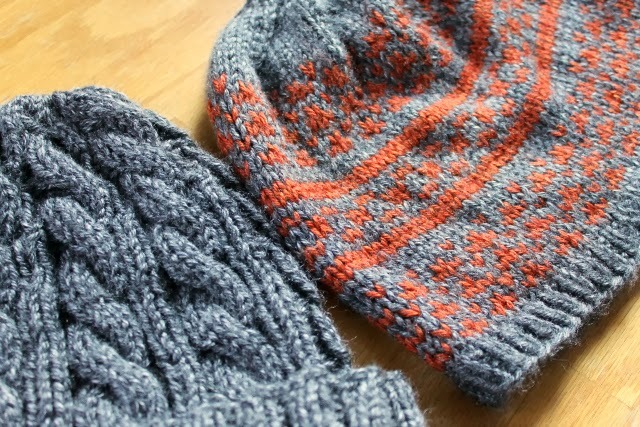 I started out buying only the knitting needles I needed for the projects I wanted to do, but that quickly became frustrating when I downloaded a new pattern and wanted to start right away but didn't have the proper needles. It's also pretty clear that buying needles in bulk or in interchangeable sets can save you a LOT of money in the end. I did buy the Knit Picks interchangeable set for circulars and straights, but its vinyl case has already ripped. So, you know the story. 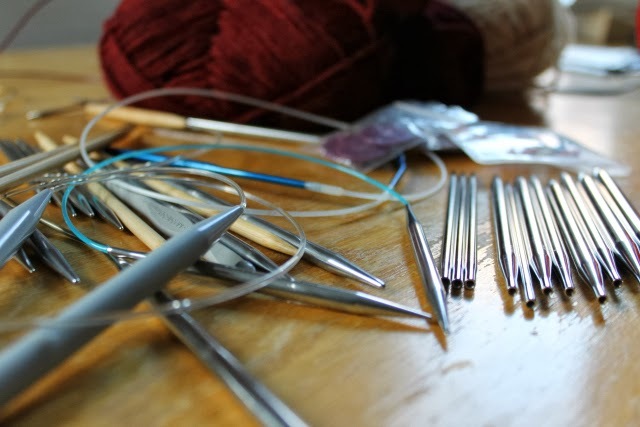 I already have a lot of needles and no idea how to organize them neatly so everything is easy to find. I know many of you are knitters, so I'm turning to my favorite people in the blogosphere: I need your advice on knitting supply storage. How do you store all your knitting needles? Do you organize everything by size, type, length, etc? Do you keep them all in the same case, or in multiple places? Do you keep them in the original packaging? Do you label everything? How do you keep all your sets of double-pointed needles together? Do you make sure your storage is portable? Do you prefer to roll everything up, fold everything up, hang everything up, or throw it all in a bag or box and toss it in the closet? Do you hack other storage devices (i.e. CD cases, three-ring binders, Ziploc bags, vases, etc)? Did you SEW your own case (and what pattern did you use)? Where do you keep your stitch markers, point protectors, gauge rulers and all the other small doodads that so easily disappear in the dark depths of the couch cushions? Etc. etc. Tell me everything! I'd love to hear about your knitting organization systems (or lack thereof, to know I'm not alone) so I can figure out the best way to proceed before things get out of control. Thanks in advance!